We are specialists at gaining entry to vehicles quickly and efficiently and without causing damage (non destructive entry). Whether you are on your drive, at work or need us to respond to you at the roadside, we can help you gain entry to your vehicle 24 hours a day, 7 days a week. We pick open your vehicle's door locks safely using specialist equipment that does not cause any damage to your locks. Please do not try to prize open your door with an airbag as this is very likely to stop your door from sealing correctly afterwards meaning you will hear wind noise whilst driving at speed. In addition this method of entry runs the very real risk of shattering car windows. 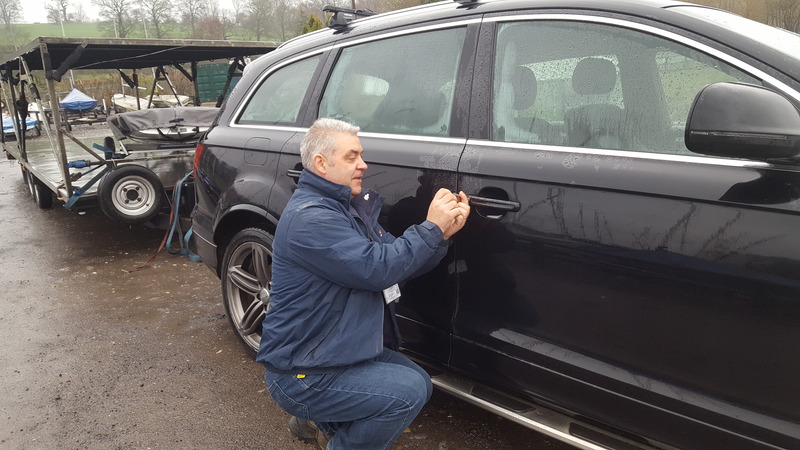 Gaining entry to vehicles should only be attempted by specialist automotive locksmiths with the correct training and equipment. SCOTT-LOCK LTD is a 24hr Emergency Automotive Locksmith Service serving York and the surrounding areas, so give us a call and we will be with you fast. Audi Q7 Keys Locked In Car as well as dog!